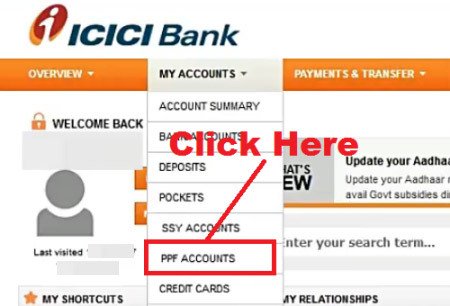 pixel How To Open PPF (Public Provident Fund) Account in ICICI Bank Online ? 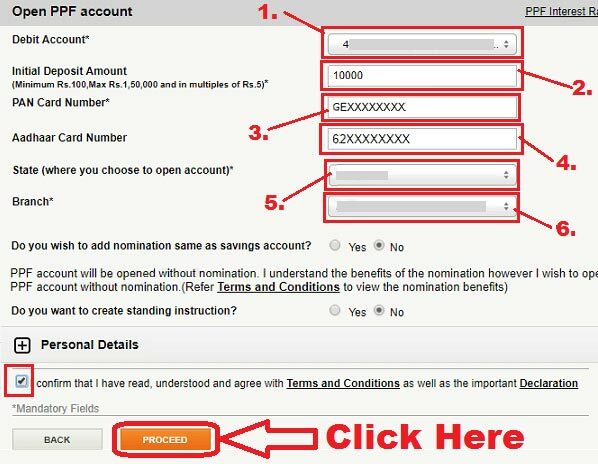 How To Open PPF (Public Provident Fund) Account in ICICI Bank Online ? 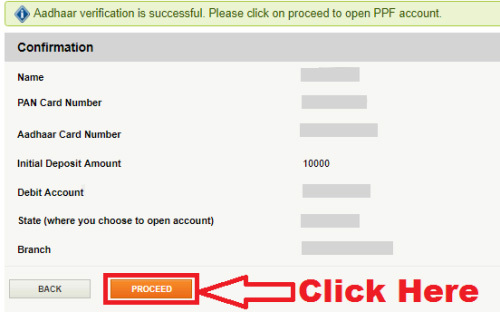 How To Open PPF Account Online in ICICI Bank ? तो चलिए दोस्तों अब आपका ज़्यादा समय बर्बाद ना करते हुए हम आपको ICICI Net Banking के ज़रिए Online अपना PPF Account खोलना सिखाते हैं | लेकिन उससे पहले यदि आप PPF के बारे में जानना चाहते हैं तो हमारी इस वाली को ज़रूर पढ़ें - What is PPF (Public Provident Fund) Account in Hindi ? 3.) Enter Your Pan Card Number. 4.) 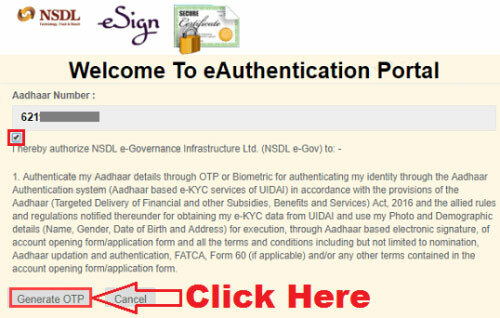 Enter Your Aadhaar Number. 5.) Select State (Where You Choose To Open Account). 6.) Select Branch (Where You Want To Open Account). 7.) Agree Terms & Conditions. 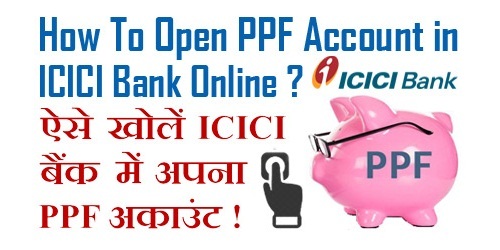 उम्मीद करते हैं आप समझ गए होंगे - How To Open PPF (Public Provident Fund) Account in ICICI Bank Online. 2.) 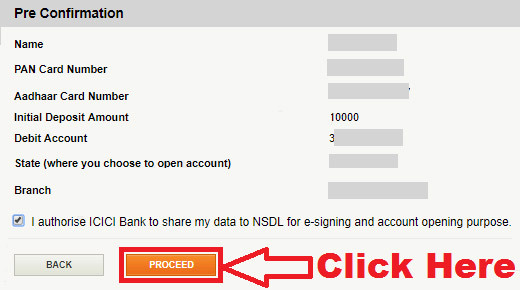 How To Check ICICI Bank Account Balance / Statement By Missed Call ? 3.) 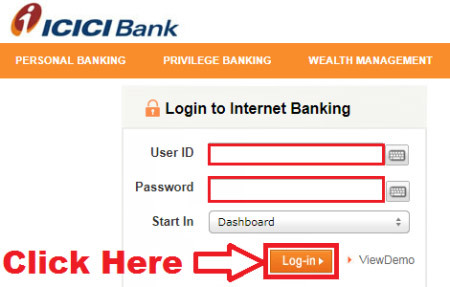 How to Change / Update Registered Mobile Number in ICICI Bank Account Online ? Individuals in their own name as well as on behalf of a minor can open the account at any Branch. As per extant instructions, opening of PPF accounts in the name of Hindu Undivided Family is not permitted. A minimum of Rs.500.00 subject to a maximum of Rs.1,50,000 per annum may be deposited. The subscriber should not deposit more than Rs.1,50,000 per annum as the excess amount will neither earn any interest nor will be eligible for rebate under Income Tax Act. The amount can be deposited in lump sum or in a maximum of 12 installments per year. The rate of interest is determined by Central Govt. on quarterly basis. At present it is 7.6% per annum with effect from 01.01.2018. Interest is calculated on the minimum balance( in PPF Account) between 5th day and end of the month and is paid on 31st March every year. Income Tax benefits are available under Sec 88 of IT Act. Interest income is totally exempt from Income Tax. Amount outstanding to the credit is fully exempted from Wealth Tax also. 10. 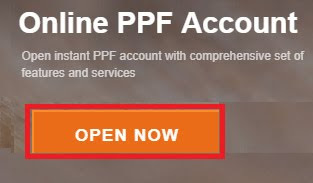 I OPENED MY PPF ACCOUNT WHEN I WAS A RESIDENT INDIAN. NOW I AM A NON-RESIDENT INDIAN. CAN I CONTINUE MY PPF ACCOUNT IN SBI ? Disclaimer : PPF (Amendment Scheme) 2016 and other Small Savings schemes are implemented by National Savings Institute, under Ministry of Finance. Patrons are requested to visit their site for latest instructions regarding these schemes.